We are unable to offer any refunds on tickets to Tasting Counter. These dining tickets should be considered in the same way you would purchase any concert, theater, or sporting event tickets. This policy allows us to keep our prices moderate, while offering a singular dining experience. In the unlikely/unforeseen event that you are not able to honor your ticket time and date, you may transfer it to another guest. 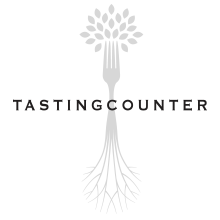 We request that you notify us about this change via your Tasting Counter account profile (link) or by leaving a message at (617) 299-6362. We kindly ask that you arrive on time for the seating time you selected during the ticketing process. Please understand that we will try to accommodate you to the best of our ability, but the nature of our dining experience and the flow of service depends on impeccable timing on our part. Late arrivals will miss part of the show… which is what this is, just like any performance that has a start time, such as a movie, theater, or sporting event. We reserve the right to pass on your purchased ticketed seat(s) to any walk-in guests after a 15-minute window has passed from your ticketed time. If you are unsatisfied with any of our products for any reason, we will immediately facilitate a resolution without any questions. We will happily exchange the product or refund the full cost of the item (less shipping). Our goal is to offer our guests a superior quality product, many of which have been tested by us in our own kitchen. If it fails to meet your expectations, we will gladly provide a refund and/or exchange.